The United States Department of Agriculture Research Service estimates that, in 2010, 31 percent, or 133 billion pounds, of food available for consumption at the retail and consumer levels in the United States went uneaten! Two-thirds of this 133-billion-pound loss occurred in homes and restaurants and one-third occurred in grocery stores and other food retailers. The top 3 foods that we throw away the most are dairy products, vegetables and grain products — combined, they make up half of the food loss in terms of weight. 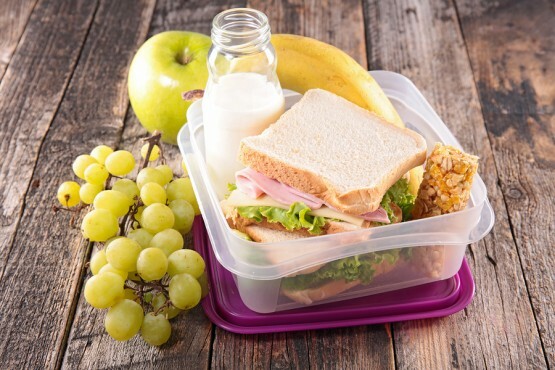 There are many ways to reduce food loss, like improving storage options and trucks to transport food to markets, improvements in food packaging and more efficient food inventory management in retail stores and restaurants. 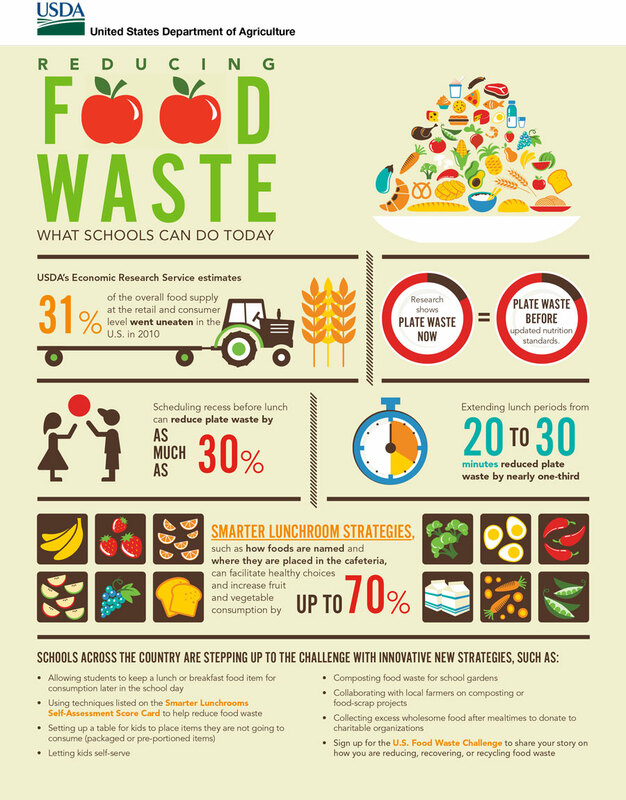 Schools, too, can make an impact and reduce the amount of food that they throw away. Vote: Should Students Be Allowed to Choose Where They Sit in Class? i think us kid should be taught about the importance of proper nutrition while we are young so we can avoid problems malnutrition causes later in our lifes. I think the schools should really consider what they put on student’s plates. Part of the reason so much is wasted is because the school doesn’t give us good food. If the staff won’t eat it than why would the students eat it? schools can take the left over food and give it to a shelter or have a compost pile. I think we should all just learn how to be thankful for what we have on our plate and eat every last bite and think about what we are wasting and how it could go to the poor, homeless, orphanages, and donations! They force us to get a fruit/veggie even though anyone who doesn’t grab one won’t eat it if you force us to get it almost everyone throws it anyway once we start walking to our table. give us less food that dumb some of us actually eat the food so give us less food will make us hungry after lunch. I think schools should get more food choices if you want more then then they should just go and ask for more. Instead of wasting food, we should donate it to those in need. I think that the schools should have many different food choices and the kids can pick from. I thank schools should make it a lot taster then we may eat it. i think the food isn’t being wasted, because the food has bad spots on it and somebody could get sick.so it is dangerous. I think they shouldn’t waist perfectly good food. Also I think somebody should do something about it.